I can imagine that would be incredibly uncomfortable for you to experience...and maybe even a little bit scary! It says here that minor changes in blood flow can affect your ears, which might explain by your ears feel blocked and your head feeling heavy. Here are the symptoms of high blood pressure. Have you experienced any of these other symptoms? Ultimately, I think that you should consult a doctor about your symptoms. 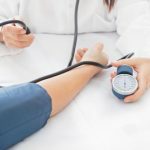 Running a blood pressure that is significantly higher or lower than your normal blood pressure is cause for concern, and you owe it to yourself to get it checked out! Please update us once you've spoken to a doctor. We are here for you! It seems like you've been through a lot as a result of changing medications. You can read more about valsartan's uses, side effects, precautions, interactions, and overdose information here . Also, be sure to check out the user reviews of valsartan. You might be able to find people who have had similar symptoms who have found a solution. We have over 60 user reviews that you can read here . Be sure to update your doctor if you are feeling unusual in the intermittent time without blood pressure meds. Hi ozzzielicious, Have you spoken to a doctor about this? Keep us posted. Have you spoken to a doctor about this? 1 Reply | Share this:Low BP and pulse rate Hi ozzzielicious, Have you spoken to a doctor about this? Keep us posted. The rule of thumb for missed meds is to take them as soon as possible, but not if it is near the time for the next dose. For ones taken every 24 hrs I think that means take them with 18 hours of when you normally would and later just wait for the next time. 7 Replies | Share this:BP increases during sleep Thank you. This is helpful. Reply: When are BP numbers are too close? I will. He already is on BP meds, I just decided to take a mid-day reading. Good thing! 2 Replies | Share this:When are BP numbers are too close? I will. He already is on BP meds, I just decided to take a mid-day reading. Good thing! There are lots of problems with long term use of opoids for chronic pain relief. There is a very big push to limit there usage. hello darmoka and others. im a pretty healthy 40 something, thought I would ensure im healthy and went to doctor, he said my blood pressure is a little high, and started me on Losartan 50 mg per day. OMG, while my bp lowered to normal range, my heart raced 20beats per minute above normal all the time, chest pains, in a month I noticed all my joints starting to ache, finger joints were swelling to absurd levels, then came the head ache, migraine?- worse! with stiff neck, occasional nausea, and a general feeling of being NOT WELL, that has lasted several months, and is not relieved much with head ache pills!... well probably worse than that, I began waking at night with shoulder pain, feeling like I have been beaten with a baseball bat, almost in tears, I could not sleep more than 4 hrs without waking and taking pain pills! I stopped taking losartan! I began taking Aleve for the headaches and joint pains, after many sleepless nights and trips to the ER, neurologist (who thought I may have an aneurism;; thank god - not), and other doctors, who look at me cross-eyed when I suggest Losartan caused this, now its been over a month off Losartan, head aches are down to a daily manageable pain level, finger joint swelling going down, and I suspect the shoulder and arm pain came from a pinched nerve from my spinal joints swelling, which is also down to a manageable level (with 2 pain pills and 4 Aleve per day). I would never think such a "well tolerated" common med would ruin my life for (now 3 months) such a long time and there not be more people with issues, perhaps they, like me, were led astray to believe all of these new problems could not be possibly be caused by this little Losartan pill. Do yourself justice, read all side effects, and if you see ANY of them, watch it close, and consider stopping that med. (even if the doc looks at you with crossed eyes! ), perhaps seek another med or holistic or natural solution! thanks to Losartan, I have never felt so much pain, and been so un-healthy in my life!, I can only hope that within a few more months, my body will return to normal and I can be rid of any pills needed to function on a daily basis. doctors = pill pushers.. and think your wrong, when you feel worse for taking them..
sadly my Losartan experience will have cost me 3k-4k in er visits, MRI, CT scans, and doctor appointments, not to mention the 6 months (perhaps more) missing out of my life, spent in pain and not feeling well. As I said you need to be evaluated by a specialist. And ask questions and get answers. ". So I had a treadmill that flunked in less a minute" How? No medical professional normally responds in this forum. And even if they did they can diagnose over the internet. You need to be checked out. 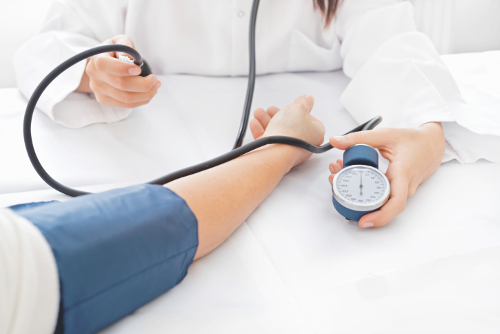 Since your BP is hard to control you might want to look for a hypertension specialist. No medical professional responds in this forum. I wonder if this might be caused by restrictions in one or more of your limbs. The standard way of taking BP is to be seated with the back supported, the feet supported, the arm supported at heart level, and time was given to rest before taking the BP. This often does not happen in doctors office. I am going to school for nursing just created a website for Hypertension. Also I found some really useful videos on youtube, you guys should check it out. Do you believe rheumatiod arthritis is linked to smoking during pregnancy? I smoked while pregnant and my child developed RA. I am a student doing research on hypertension. My team and I are collecting data that will help us design a mobile application that will be beneficial for people who deal with high blood pressure on a daily basis. If anyone has a few minutes to fill out a survey, it would greatly benefit our project! Any data we collect is completely anonymous and legally cannot leave the context of our class. Thank you! Did Lisinopril screw up your menstrual cycle with abnormal bleeding?